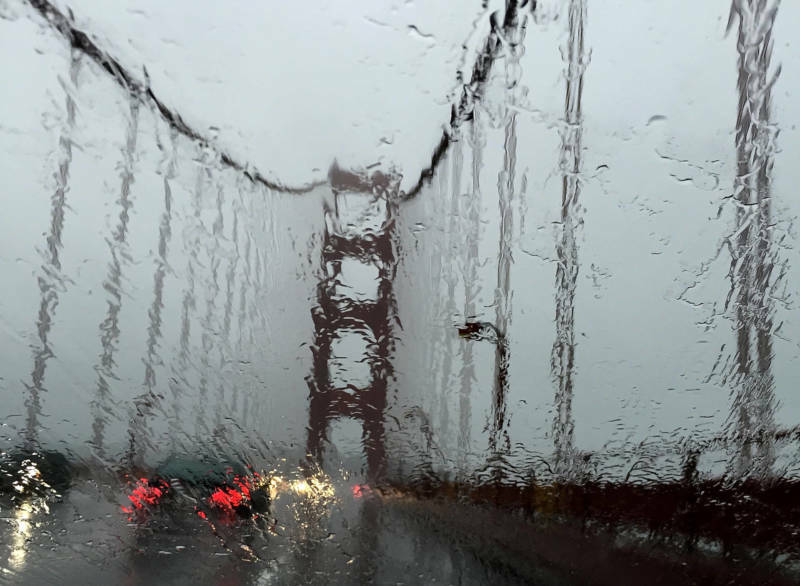 There's likely to be more wet weather coming to Northern California this weekend and throughout the week, according to the National Weather Service. But forecasting right now may not be as reliable as normal. That's because employees who maintain national forecasting models are furloughed under the longest partial government shutdown in history, which stretched into its 22nd day on Saturday. Meteorologists like Roger Gass are still on the job because he's considered an essential federal employee. And he's among the roughly 800,000 federal workers who did not receive a paycheck on Friday. KQED's Tara Siler spoke with Gass, who's also a member of the National Weather Service Employees Organization, the labor union that represents 4,000 employees of the National Oceanic and Atmospheric Administration, about the impact of the shutdown on employees. Tara Siler: Can you describe for me what morale is like in the office during this shutdown right now? Roger Gass: Morale is actually really low with respect to the unknown — especially this is going to be the first time in more than 11 years we haven't received paychecks, or myself hasn't received a paycheck. And so that leaves a lot of stress on us. And we're doing our best though to stick together and try to make each other cookies and try to keep the morale as high as we can, but at the end of the day we have to go home with all the unknowns of when we're going to see our next paycheck. Siler: And how is that affecting you personally? Are you are you going to have trouble making ends meet paying bills? Gass: Well, this is a rare weekend off for me. And I'm fortunate enough to have the weekend off. But now, when I would get paid this weekend, now I'm going to have to sit down and figure out which bills that I can pay or which ones I can hold off until we know when things are going to reopen and we can get paid again. Siler: And what are you hearing from your colleagues about what their experiences are? Gass: Well, just like any American, all of our stories and situations are different. In my agency, I'm fortunate enough to have a spouse who also works. But many of my colleagues are the single source of income for their entire family. And there are people who are worried about child care, worried about putting food on the table for their families. And in the meantime, they're still having to report to work to fulfill our mission of protecting life and property during this weather. Siler: Have you worked during previous shutdowns like in 2013? Gass: I did work in the previous shutdowns. There was one last year that was a really brief one. And I worked over that weekend. And in 2013, as well. However, those all were resolved before we actually missed our major paychecks. Siler: So this feels different? Gass: Oh, this feels a lot different. And the overall climate is just so different. There's so many unknowns and it actually has caused a lot of my co-workers to lose sleep at night, including myself. It's something we talk about in the morning where we're getting ready for the day to start the forecast process. Siler: So Roger, we have a storm approaching Northern California like you said earlier. How might this shutdown and what's happening in your office going to impact your work in the office? Gass: Well, from a standpoint of the work that we do, we're going to do the best that we can to provide the best forecast to emergency managers and to the public and to the media that we do every day. However, our global forecast is the model which is run by the National Weather Service. There's nobody in the office maintaining that back at headquarters. So our forecast model that we have in the United States, that we produce, is actually becoming degraded because we don't have anybody to maintain that model. And that is going to impact people across the country as our forecasts are going to be more difficult to manage and more difficult to predict. Siler: So that means our forecasts may not be as accurate. Gass: Exactly. The accuracy of our forecasts are going down and models across the world are doing a better job than our own models. And here we are supposed to be the leading country with forecasting models, and it's not looking that way right now.